MONDAY, Oct. 16, 2017 -- If you're constipated, try grabbing a small footstool before you plunk yourself down on the potty, a new study suggests. Most Westerners sit down on the proverbial throne the way they would sit on a chair, but a novel leg-lifting device offers an option that seems to encourage good bowel movements, researchers report. The footstool helps sitters assume a squat-like position while conducting their business. And that position appears to alter an individual's anatomical angle in a positive way. 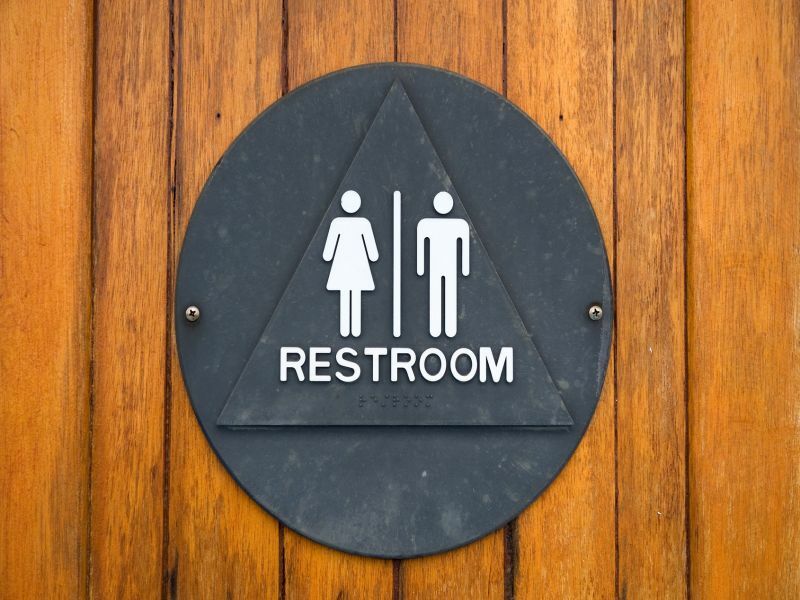 "A large portion of the world -- including Asia, Africa, and [the] Middle East -- utilize some form of squatting while having a bowel movement," explained study author Dr. Rohan Modi. In contrast, most people living in the developed countries "have largely transitioned to toilets," he noted. But for those struggling with chronic constipation, the footstool "had a positive influence on bowel movement duration, straining patterns, and more complete evacuation of bowels," Modi said. Modi is an internal medicine residency physician at Ohio State University's Wexner Medical Center. Modi and his colleagues were to present their findings Monday at the World Congress of Gastroenterology in Orlando, Fla. According to the U.S. National Institute of Diabetes and Digestive and Kidney Diseases, constipation is defined as having three or fewer bowel movements per week. Those who regularly struggle with painful or difficult bowel movements that are routinely small, dry, and/or hard are also considered to have the condition. Treatment often revolves around dietary alterations -- such as drinking more water and increasing fiber intake -- alongside other lifestyle changes. Over-the-counter medications are also sometimes used, with an aim to bulking up stool by helping to absorb fluid in the intestinal track, alongside stool softeners and/or laxatives. Surgery to address rectal blockage or colon dysfunction is also an option for those in need. To test the potential impact of the footstool, the study team enlisted more than 52 men and women, average age 29. Prior to trying the footstool, nearly 30 percent said they regularly struggled to go to the bathroom, while more than 44 percent said they increasingly experienced strain while doing so. Nearly 56 percent said they had noticed that their toilet paper was bloody after a bowel movement attempt. Roughly 1,000 bowel movements were tracked, of which more than 700 were facilitated by the use of the footstool. Investigators found that using the device was linked to a notably shorter time spent going to the bathroom, a reduction in bowel movement strain, and an increased sense of bowel emptiness. What's more, about two-thirds of the participants -- particularly those who had previously struggled with "incomplete emptying" -- said they planned to continue using the footstool going forward. Modi noted that the footstool has not yet been tested in a nursing home or hospital setting, where its potential benefit might be particularly important. And he added that more studies are needed to explore how effective it might be in helping particularly high-risk patients, such as those struggling with hemorrhoids and/or opioid-induced constipation. "I think if you are struggling with constipation or straining -- or have regular bowel movements and are just curious -- this product is a non-pharmacologic option that may benefit you," Modi said. "But first and foremost," he added, "it is important to have an open dialogue with your physicians about your normal bowel habit." In the meantime, Dr. Keith Obstein, an associate professor of medicine at Vanderbilt University in Nashville, noted that this particular device may ultimately address a non-institutional need as well. "This product is [already] available for home consumers," Obstein said. The findings point the way towards a "potential non-pharmaceutical [means] for assisting patients with constipation." There's more on constipation at the U.S. National Institute of Diabetes and Digestive and Kidney Diseases.